Gimlet is a startup betting big on podcasting becoming big business. Is this the future of radio? “Video killed the radio star”, the Buggles told the world in their still-catchy 1978 hit. That was a time when the TV screen seemed the obvious media choice for the future, but by 2015 we’re living in a media landscape far more diverse than the Buggles ever envisioned. 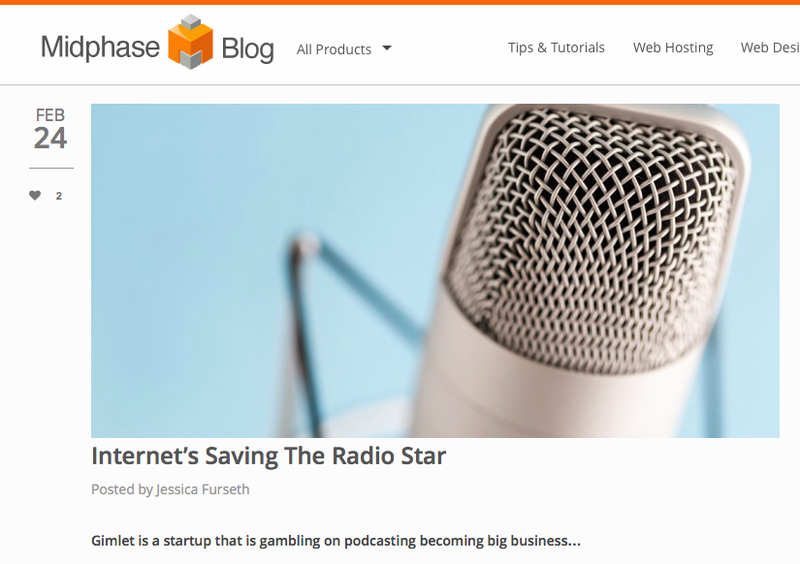 In fact, today, the internet is bringing the radio star back to life. This is what Alex Blumberg is betting, as he’s started a company devoted to creating podcasts. Gimlet raised US$200,000 start-up cash in a matter of hours, as investors figured Blumberg knew what he was talking about: Blumberg was a producer on ‘This American Life’, one of the most successful podcasts of all time. Ira Glass, Blumberg’s old boss at ‘This American Life’, is probably the ultimate radio star as podcasts are rapidly become the next big thing in the ever-connected media world. Podcasts have grown 105% in the US over the past five years, according to a 2012 study from Edison Research. After all, there are plenty of moments when we can’t look at a screen, such as when we’re driving or walking down the street, or moments when we can’t get the internet but may still like to feel connected, such as on a metro train or airplane. Another reason why people like the radio is because it lets them feel a personal connection, says Blumberg, which is what the best hosts create when they speak to their audience. Gimlet will aim to scale up the podcasting industry by doing exactly what made podcasts so successful in the first place: letting each of them target its own audience and interact with them in a unique manner. Want to know how Gimlet is progressing? They have a podcast for that: Startup. Traditional radio is using a lot of the same tricks as podcasts to move into the future too though, with the BBC iPlayer Radio and the TuneIn app among those offering radio on demand. “Personalisation is a major part of the future of radio. Pandora [in the US] has shown how personalised music can make a good product, but good radio stations are more than songs pseudo-randomly thrown together,” radio expert James Cridland told The Next Web. The future is likely to bring us a “hybrid radio”, thinks Cridland – a mix of the best of broadcasting and internet. Posted on 03/10/2015 by Jess. This entry was posted in Technology features and tagged internet, radio, technology, uk2. Bookmark the permalink.